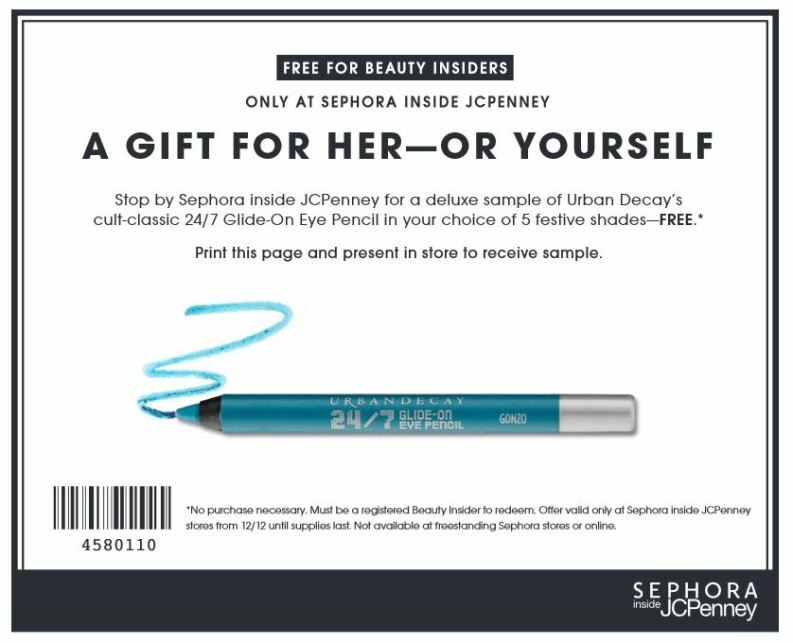 Sephora inside JCPenney is offering a free urban decay glide-on pencil in 5 festive shades. To get the free glide-on pencil you just need to print the free coupon and bring it into any JCPenney store. You can download and print the coupon here. Note: This offer is only available at Sephora stores located inside JC Penney’s. 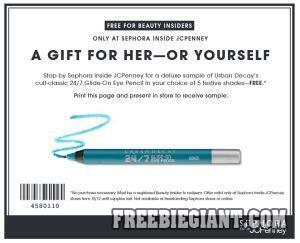 This coupon is not valid at freestanding Sephora Stores or Online.